A book written and produced by a long-term resident of Gresley Court, Little Heath has just been published. The book is entitled 'A personal record of Gresley Court from 1972 and the history of Little Heath Wood House'. The author is 90-year-old Joan E. Gooding. Joan has kindly given permission for her book to be published on the North Mymms History Project. It is a detailed record which has taken several years to research and write. Brookmans Park Transmitting StationIt is situated on one of the highest points in the south east. It has twice blown down. It causes radiators, toasters and waste bins to play music. Automatic garage doors also open of their own accord. The Brookmans Park Transmitting Station is a local landmark. Local author, Lilian Caras, has charted the history of the transmitting site and looks at its importance in the life of the nation. 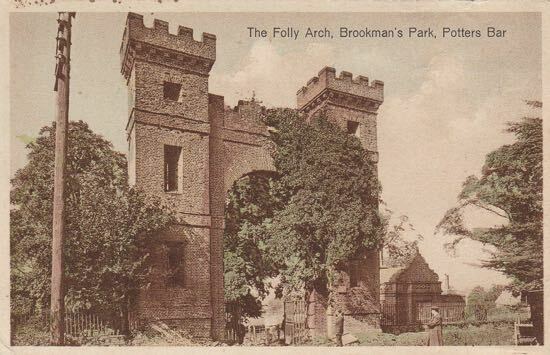 The author of this book, Peter Kingsford, says that the modern history of Brookmans Park really starts with the coming of the Gaussen family in 1786, "for it was from their estate that the present place we live in was developed". Successive members of that family, he writes, "were lords of the manor at Brookmans, living there for nearly 140 years. In 1923 they left and the new village of Brookmans Park began to appear and take shape." It was nearly called Gobions School and the land was almost sold off for housing, but in the end local residents campaigned successfully for the creation of a secondary school in Brookmans Park. Since then residents have been supporting their own local comprehensive school, which now serves a much wider area. This history of Chancellor's was written by local author Lilian Caras to mark the school's first 25 years. There was to be an outdoor swimming pool in Gobions, public tennis courts, cricket and football grounds, the area would be free of planning restrictions to allow residents 'full expression' and there would be no need for boundary fences or walls. All the above from the sales pitch from an estate agent's booklet from 1926 aimed at attracting 2,000 housebuyers to Brookmans Park. It was the beginning of what has become a thriving commuter village . During the years the former Gobions Woodland Trust owned part of the land which made up the estate of Gobions many requests were received for details of the estate's history. A team of local authors and historians decided to create this booklet charting the history of Gobions Estate. It includes contributions from Peter Kingsford, Richard Bisgrove, and Linda Jonas. The original booklet was published by the Gobions Woodland Trust. Local author Lilian Caras who writes: "60 years ago children in Brookmans Park were educated in private schools because there was no state provision. But the growth in the community forced the local authority to take action". Lilian tells how the primary was planned and built, and how it opened its doors to pupils in the autumn of 1951, and then involved the community to help the school flourish. In his foreword for this book Major General Sir George Burns wrote: "The parish of North Mymms, has a long and interesting history, and there is probably no greater expert on the history of the parish, its life and the characters who lived in it than the writer, Mrs. Dorothy Colville, who was born in North Mymms, educated at the girls’ school at Water End, taught in it and finally became its headmistress." This short book by Alderman was written after the author stumbled across a parchment covered accounts book in the Vestry of St Mary's Church, North Mymms. In it were the Churchwardens' Accounts and Vestry Minutes from 1762-1901. The work, now out of print and unavailable in the shops or libraries, is a unique insight into the life of the parish over 150 years and is reproduced here as a PDF to try to capture the feel of the original document. The purpose of this book, according to the author Peter Kingsford, "is to tell something of the lives of the people of North Mymms Parish in the 19th century". This is Peter's sequel to the book 'A Modern History of Brookmans Park' and covers the whole parish of North Mymms including the other villages of Welham Green, Water End, Bell Bar, Roestock, and some coverage of the community at Little Heath. 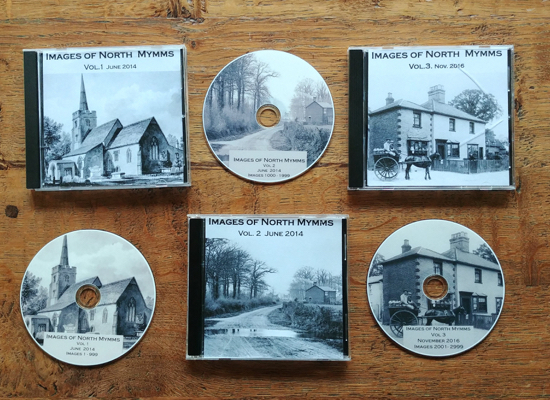 A 12 chapter book devoted to old images of life in the parish of North Mymms over the years. The book contains more than 100 images spread over 62 pages. All have been donated by local residents for a community project aimed at preserving the pictorial history of the parish. The book was published by the former North Mymms Local History Society in 2002. Each chapter has been uploaded as a separate feature on this site to ease download times. According to the author, Peter Kingsford, "the purpose of this short history is to show and explain how the education of the children of North Mymms parish has changed over two and a half centuries ... from when agriculture was the chief livelihood and most of the wage earners were farm labourers to the artisans, gardeners, game-keepers and all the other ranks are the main subject of this history of the schools of the parish". In September 1939, soon after war had been declared, the vicar of St Mary’s Church, North Mymms, the Reverend Leonard Buxton, sat down in his study to write a special edition of his parish magazine. Six years later, following the ending of the war, the then vicar at St Mary’s, the Reverend Hamel-Smith, composed another message to parishioners. This booklet looks at life in the parish during the war years. Former local resident, academic and author, Chris Jeppesen, who grew up in Brookmans Park, traces the area's links to the East India Company's wealth amassed from the exploits of the British Empire, and slavery. In this chapter from the book The East India Company at Home 1757-1857, Chris looks at where the wealth of four North Mymms manor houses, Brookmans, Gobions, Potterells, and Moffats originated from. And he concludes: "North Mymms illustrates in microcosm how global processes of conquest, trade, enrichment and exploitation that energized Britain’s expanding empire became infused with local significance." We have a second feature dealing with this topic. The other is The East India Company and North Mymms by Peter Kingsford. The BBC has given this site permission to reproduce this guide online for the first time. The pamphlet was written in 1930 and was described as 'A Descriptive Souvenir'. It offers a tour of the Brookmans Park Transmitting Station as it was when it was first built. The booklet gives a unique appreciation of the power of radio and the vision of those who broadcast to the world. North Mimms, "a parish of hamlets rather than one compact village", that's the Victorian view of a Hertfordshire parish of almost 5,000 acres. How times have changed with the growth of both Brookmans Park and Welham Green over the following 100 years. The following information is taken from pages 251 to 261 of the Dacorum Hundred section of "Victoria County History", edited by William Page in 1908. The work traces the history of North Mymms back to the Domesday Book. The author of Victorian Lives in North Mymms, Peter Kingsford, wrote this book to illustrate how people lived, worked, thought, felt, and behaved in the parish in the nineteenth century. He also touches on their relations with each other. Peter Kingsford writes: "The book is concerned with not only the lives of the parishioners but also with the different sorts and conditions of the men and women.